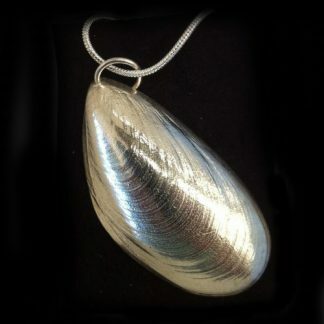 Two halves of a medium sized mussel shell cast in pewter and silver-plated. 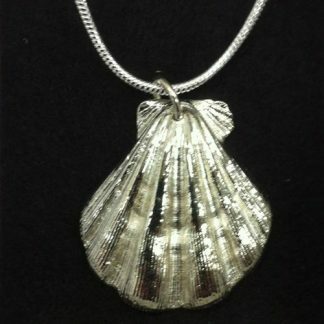 Each shell approx 6cm x 3cm. 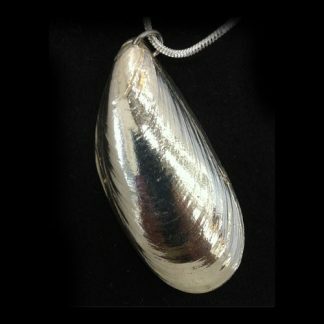 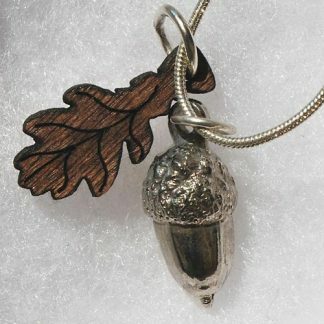 very ergonomic, an elegantly simple pendant that has a nice weight to it and fits wonderfully in the palm of your hand. 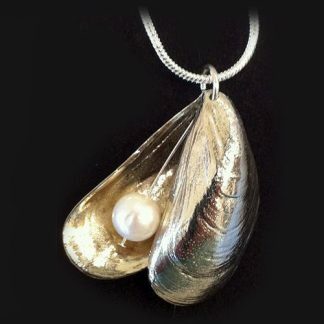 A perfect gift for the beachcomber with style! 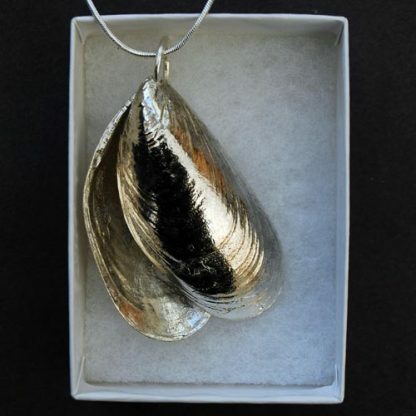 Found by Harry and Oska at Monkston Point, Pembrokeshire.